“Cutie Bites” was the name of the snack for which Islander and Mary Ann B., her childhood best friend, won first place in their junior high honors class many years ago. Their banana lumpia (also known as turon in the Philippines and banana spring rolls or fritters in other parts of Asia and the Pacific Rim) was the best-in-show at a school food fair. Although they only made a few dollars profit, the lessons were invaluable as they learned about food preparation, packaging, marketing and sales. The young entrepreneur’s slogan was: “To be specific, ‘Cutie Bites’ are terrific!” Banana lovers will agree—banana lumpia is a terrific treat for National Banana Lovers Day. Beat the egg with a tablespoon of water and set aside. Defrost the spring roll wrappers, separate the sheets, place in a container and cover with a damp cloth until ready to use. 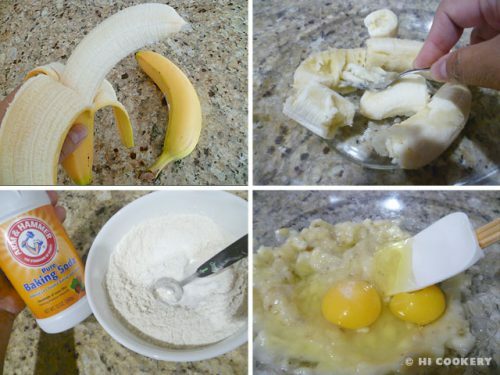 Peel the bananas and slice them into quarters. Place a slice in the middle of the wrapper (with one corner pointing down) as shown below. Sprinkle a little bit of sugar or cinnamon-sugar on it. Fold the sides of the wrapper inward. Then fold the bottom of the wrapper upward and roll tightly toward the top corner. Moisten the top corner of the wrapper with the egg wash. Roll and seal. 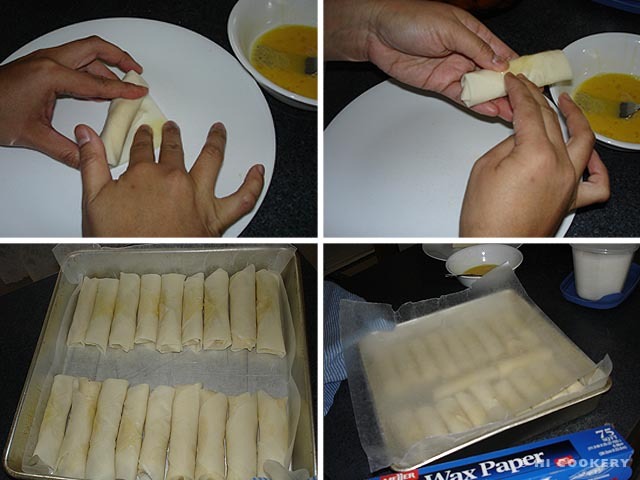 Place each spring roll in a container lined with wax paper. 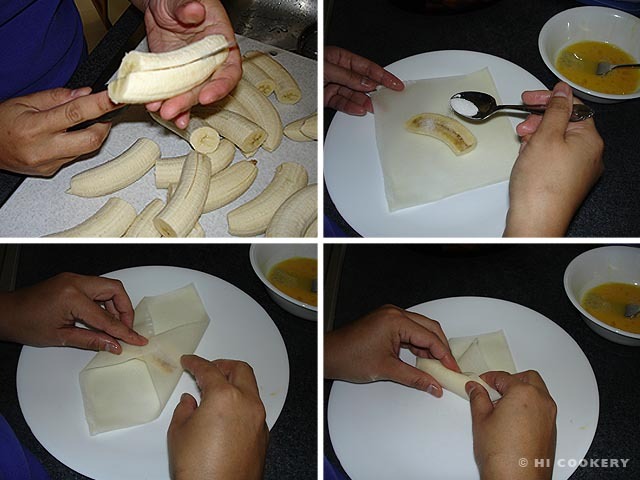 Continue rolling all the bananas, separating each layer with a sheet of wax paper. Cover the container with foil and freeze until solid. 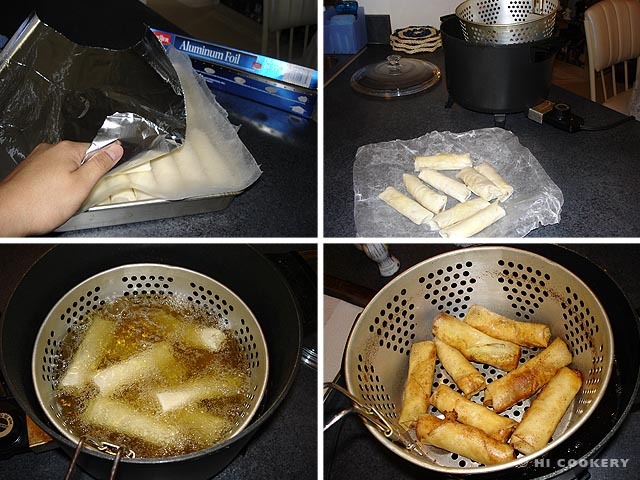 Transfer the frozen banana lumpia to zipper-top freezer bags until ready to cook. Heat the oil in a deep fryer. 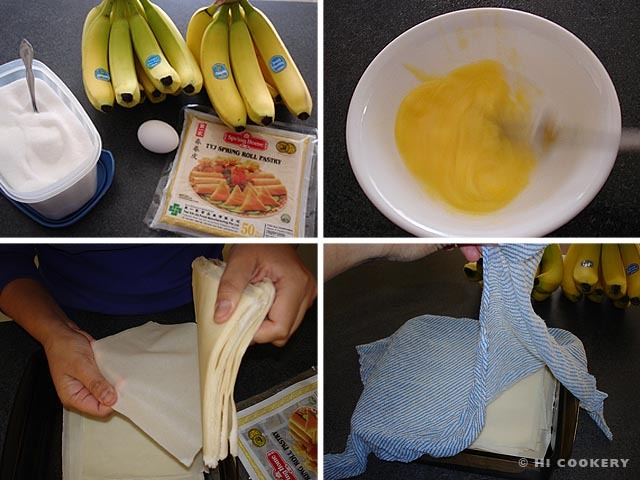 Do not defrost the banana lumpia. Carefully plunge them frozen into the hot oil and fry until crisp and golden brown. 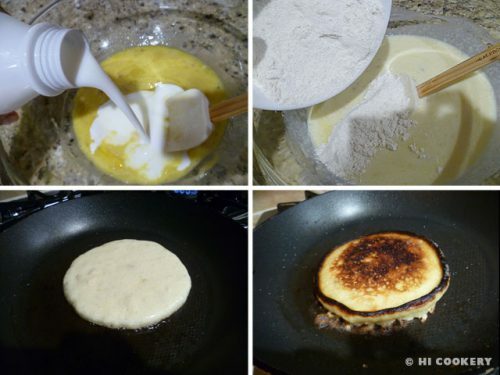 Drain on paper towels and sprinkle with sugar or cinnamon-sugar before serving. Islander and Mary Ann B. worked together again on another award-winning project as high school freshmen. Their topic, “How Do Colors Affect Humans?,” won an honorable mention in the science fair display category. See our blog recipe post for colorful sugar cookies on July 9 (National Sugar Cookie Day). 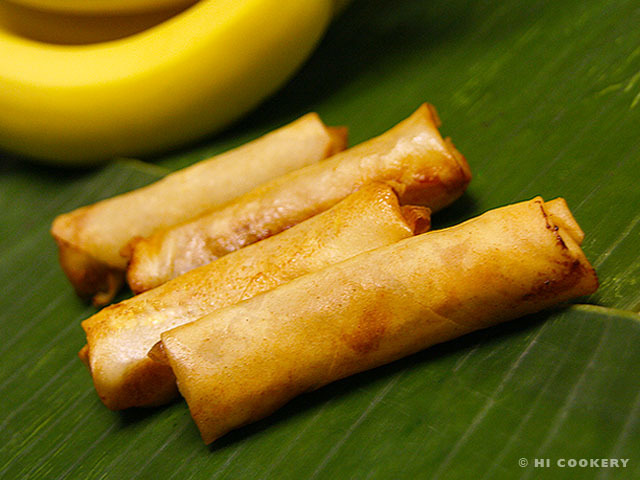 Banana lumpia can be served as simply as a street food—hot from the vendor’s cart. Or they can be served as fancy as a restaurant-style dessert—cut a couple of them in half diagonally, arrange on a plate with a large scoop of ice cream and drizzle with chocolate sauce or sprinkle with powdered sugar and/or cinnamon-sugar. 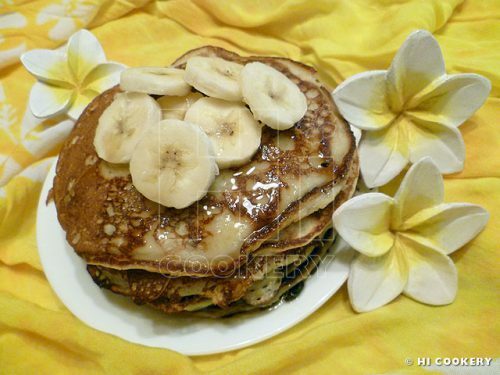 Search our blog for other posts about banana recipes.